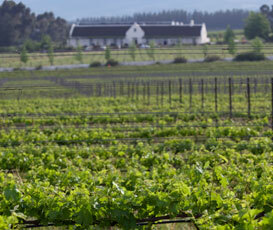 Here you can find our range of premium quality Jonty’s Ducks wines made exclusively on Avondale’s eco-friendly estate in the picturesque Paarl region of the Cape Winelands located in South Africa. …Though, you’ll have a very hard time finding any snails that think we are Eco-Friendly! 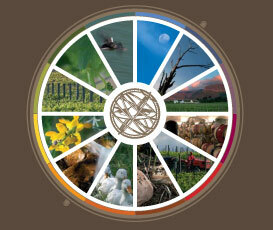 Avondale Wines is a family owned farm run by proprietor, Johnathan Grieve, who is sometimes also known as ‘Jonty’. This exclusive range of exciting wines celebrates our natural vineyard eco-system where a posse of glossy Pekin ducks patrols our vineyards to find and eat snails which would otherwise cause serious damage to our vines. 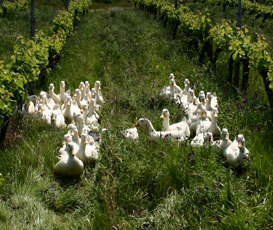 Our ducks are a highly effective, eco-friendly way to avoid using harmful chemical poisons to manage pests. This is just one of the many ways that Avondale works with Nature to produce premium quality, organically certified wines, while ensuring that our beautiful place on Earth is protected for future generations. 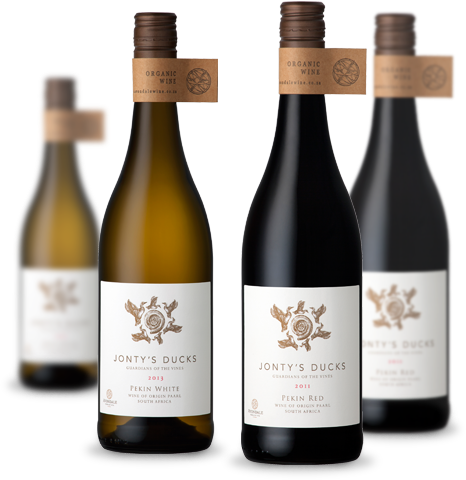 Jonty’s Ducks wines are slow made with natural yeast, free of all artificial additives, certified organic, low in sulphur and absolutely delicious! Our wines are certified organic by leading certification authorities as meeting the standards of both the USDA NOP for the United States and the EU organic regulation for the EU.